Heavy Equipment - Industries - ZT | Zippertubing Co. Heavy equipment used in construction, demolition, landscaping, and other rough outdoor environments is exposed to lots of dirt, dust, debris, moisture, and other contaminants. Durable, rugged products that are as tough as the environment they’re being used in, and as heavy duty as the equipment they’re being installed on, ensure usability and reliability. Zippertubing® offers many products that are both incredibly tough and flexible, as well as many jacketing materials that have been independently field tested for abrasion resistance. 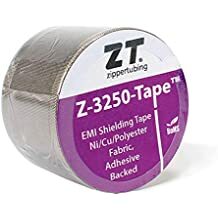 At Zippertubing®, we have 60-plus years of experience providing proven products and materials for cable or wire management and harnessing, EMI shielding, thermal management, and specialty heat shrink. Our products can be applied as additional barriers and protection against items that can wear, degrade, or rust. We also carry products that can provide efficient, effective repair solutions in demanding environments. 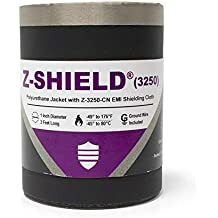 Zippertubing® offers military-grade polymer films and reinforced coated fabrics that are strong enough to hold up to extreme abuse, but will allow for bending, flexing, and movement. With our vast array of materials and capabilities, Zippertubing® provides cable management products, customized protective covers, and everything in between. Our knowledgeable engineering team can recommend the best materials for any given application, create a prototype, and manufacture the perfect custom solution for any customer’s problem. Here are just some of the products we have related to the Heavy Equipment industry! When using heavy equipment, the risks are high. From repair to equipment failure, the hazards can be quite costly and demanding. Zippertubing® offers proven products and materials to create custom solutions for cable or wire bundling and harnessing, EMI shielding, specialty heat shrink, and thermal protection. Our products will give your company the assurance of providing and operating reliable and quality heavy equipment. Heavy equipment built for tough environments that require durable products. The Zippertubing® Company has a vast array of materials and products that can be used to create a solution sure to fit your needs, no matter what your industry requirements may be. From wrap-around heat shrink to military-grade cable bundling and protection solutions, Zippertubing® will solve any problem, and provide any preventative or protective solution for your heavy equipment needs. Why use Zippertubing's Cable Management products in the Heavy Equipment Industry?